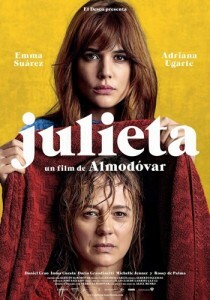 Julieta lives in Madrid with her daughter Antía. Both suffer in silence Xoan loss, father and husband Antía Juliet. But sometimes the pain does not unite people but between them. When Antía eighteenth birthday abandons his mother, without any explanation. Juliet seeks it by all means, but all he finds is how little he knows about his daughter.